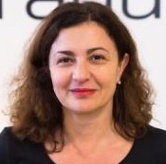 Natasa Babic is a journalist who worked for Croatian print media, radio and television in the 1990s. She moved to Iceland in 1998, where she worked as a freelance writer for various Croatian media as well as Icelandic National Radio. She was one of the founding members of Prague College and currently writes for Croatian papers and internet portals, and is a correspondent for Radio Yamat. Natasa holds an MA in International Relations from Charles University in Prague, and a BA in Political Science from the University of Iceland. She is a mother of two children, an animal lover and an aspiring writer.